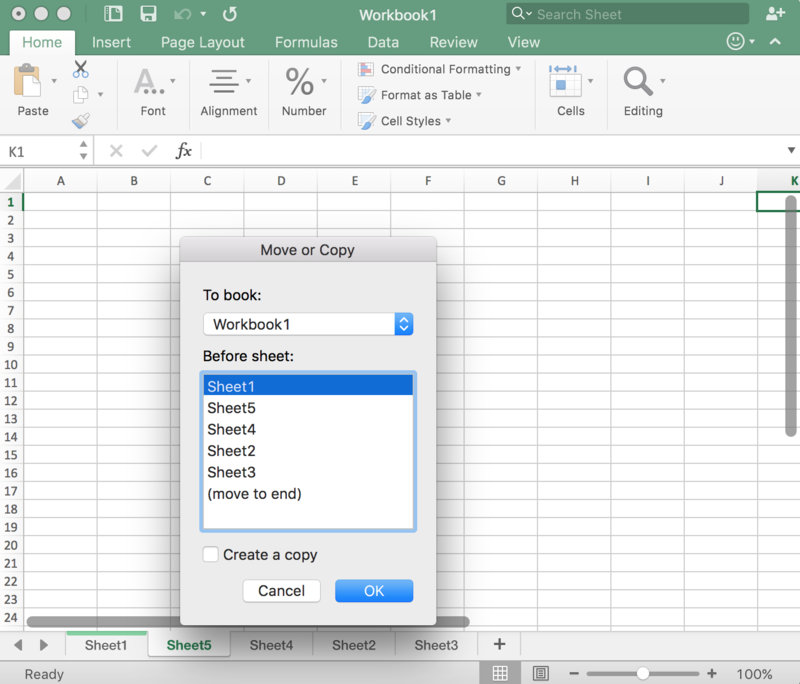 When you open an new workbook or start excel application, it will create 3 new blank worksheets. This section will explain you how to create/insert/delete/move/copy/rename a worksheet. 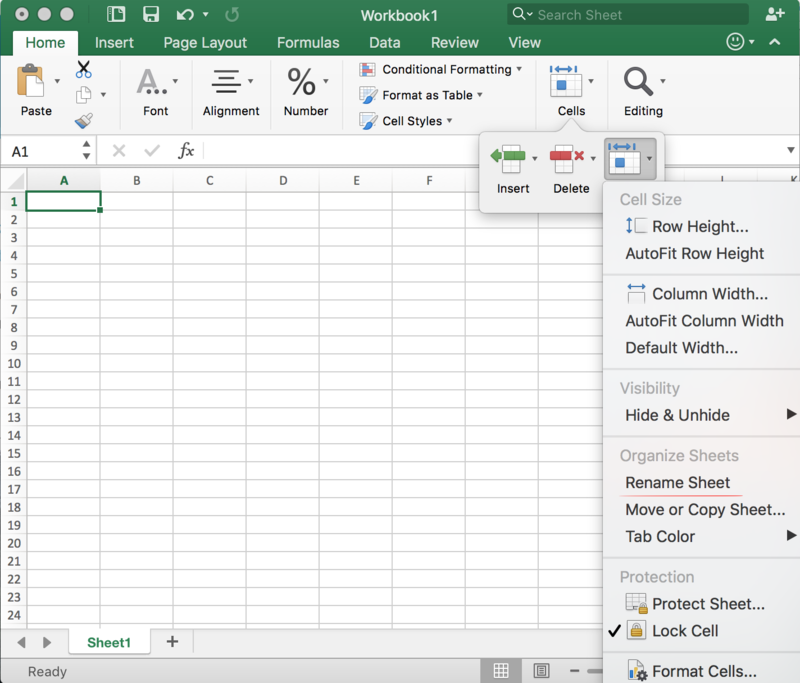 You may find there is always an opened worksheet used for users entering or editing data in Excel operating process. In this case, a new worksheet can be opened with creating a new workbook. 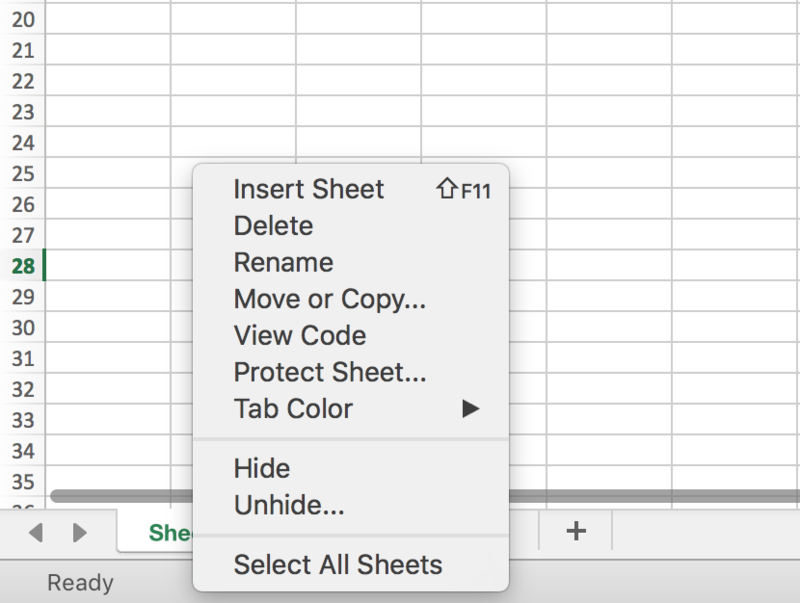 If you want to create a new worksheet other than your current one, directly click ‘Add’ button near ‘Sheet1’. 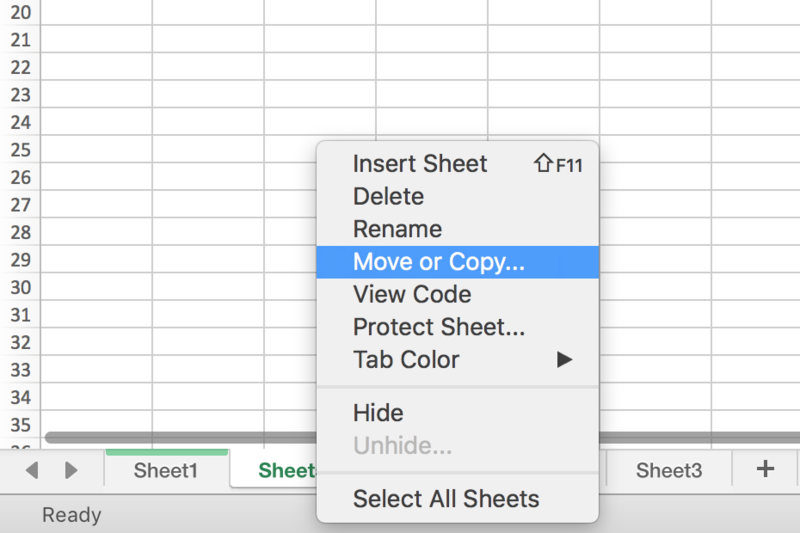 Click on sheet you want to copy (Sheet5 for example) -> Move or Copy -> Select Sheet5 -> Check on ‘Create a copy’ option -> Click ‘OK’. Step3: Sheet5 (2) is added. #1 Drag and move worksheet to the proper position, then release your mouse. 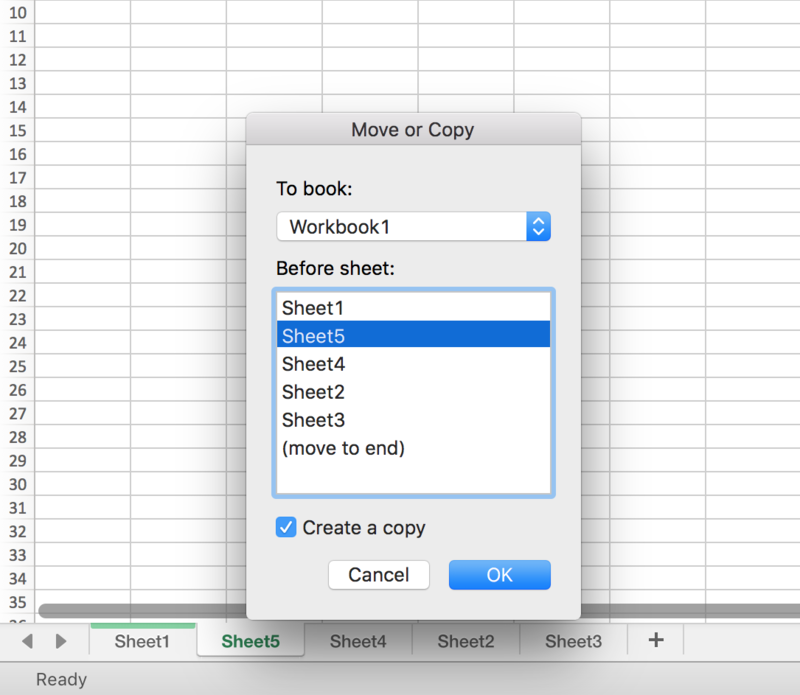 #2 Click on sheet you want to move (Sheet5 for example) -> Move or Copy -> Select Sheet you want to move before (Sheet1 for example) -> Click ‘OK’. 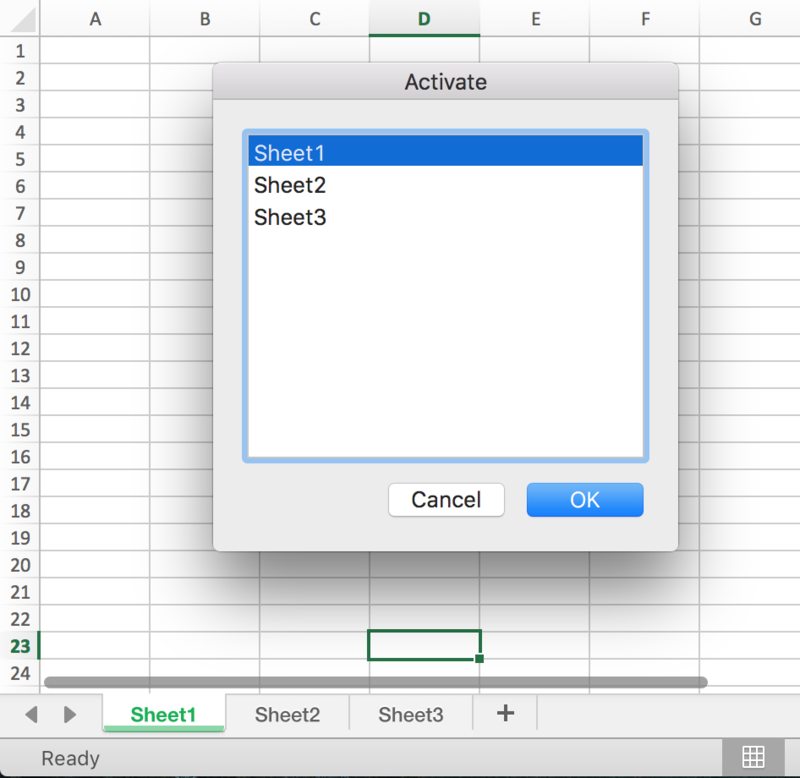 This method is often used for multiple sheets exist in one workbook. If multiple worksheets list in Excel, how can we select the one we want quickly? 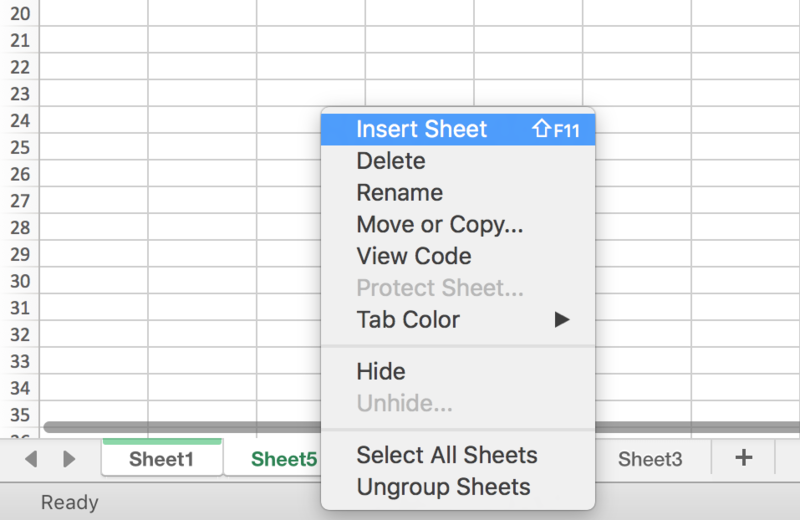 Right click on ‘right arrow’ near ‘Sheet1’ to see all sheets, then select sheet. Sometimes we can set different colors to distinguish different worksheets or group worksheets. 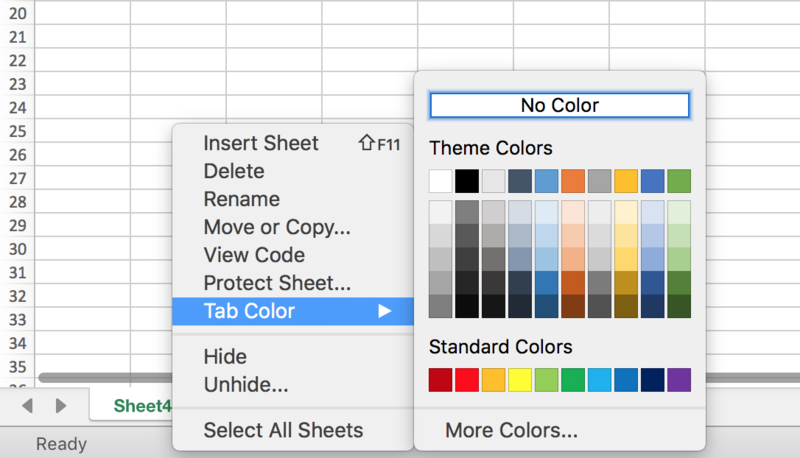 Right click on ‘Sheet1’ -> Tab Color -> Select Color, below example is changed to Red color. 1. 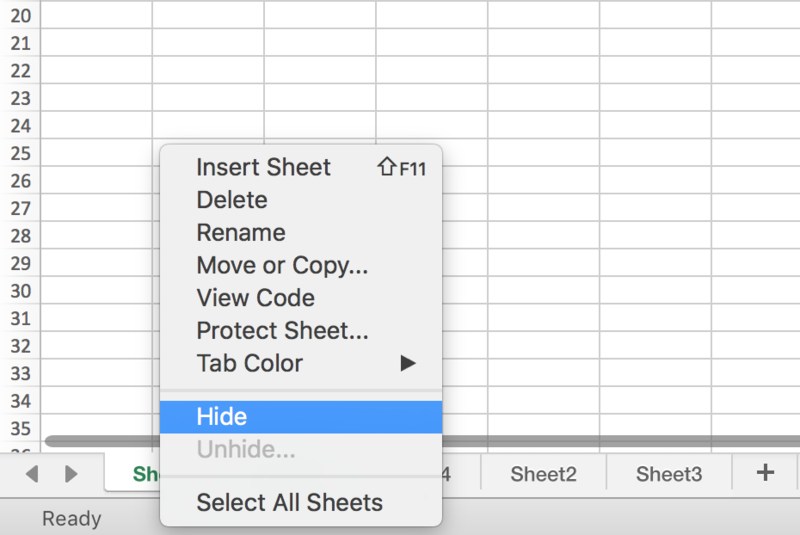 Right click ‘Sheet’ -> ‘Hide’, the current workbook (a worksheet exactly) is hidden. 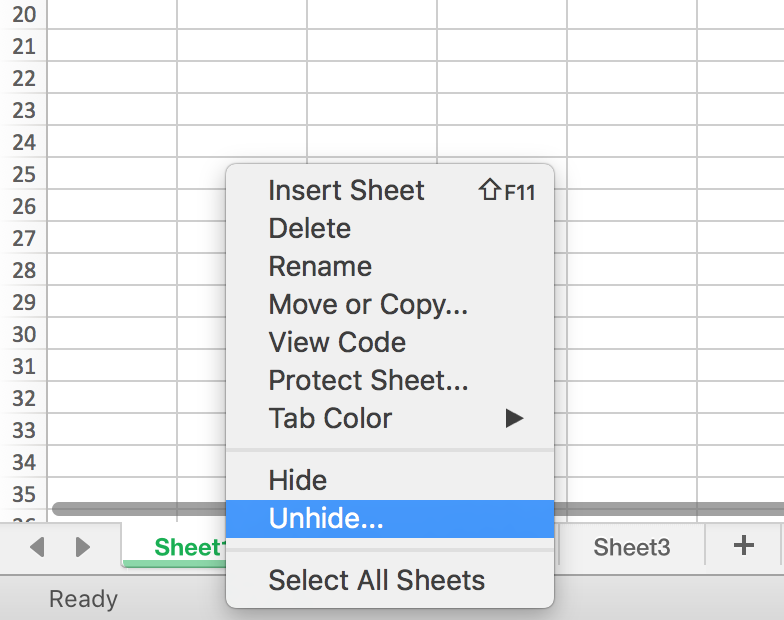 Notes here, if only one worksheet exists, Excel doesn’t allow to hide the worksheet. 1. Same way, click ‘Sheet’ (any one is ok) -> ‘Unhide’, select the one you want to unhide, then click ‘OK’. 1. Right click on ‘Sheet1’ -> Delete. 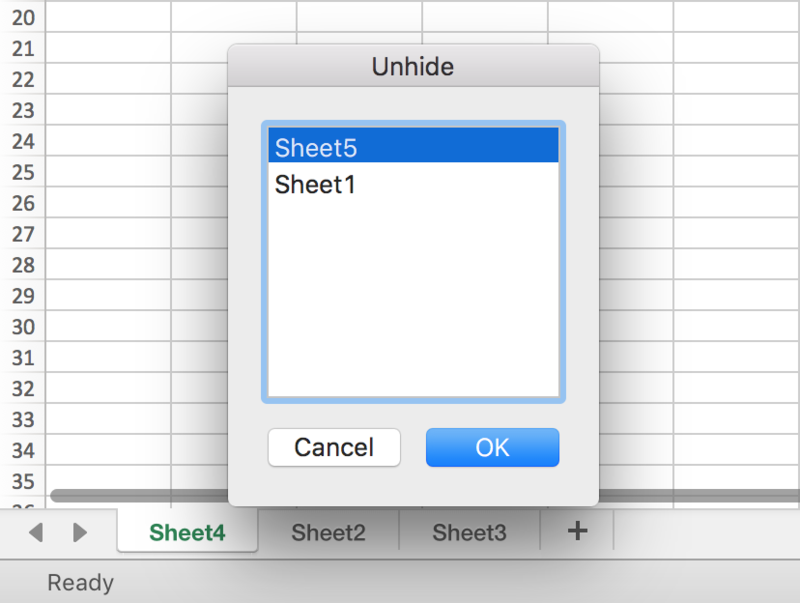 Almost all worksheets operations can be done in Sheet navigator, but you can also operate worksheets in Home->Cells->Formats, details see ‘Rename a Worksheet’ method #2.